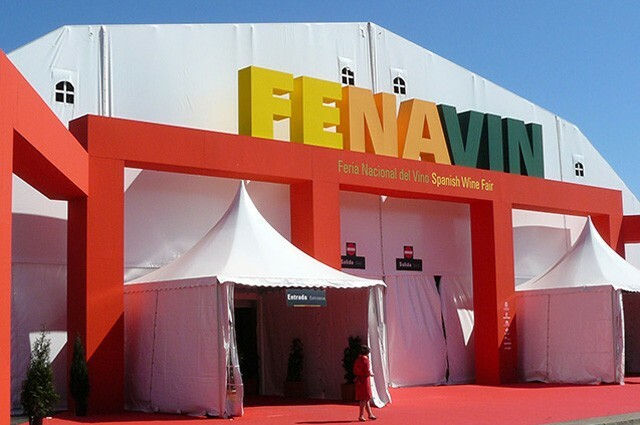 Felix Solis avantis confirms its participation in the next edition of FENAVIN wine fair from May 12th to 14th in Ciudad Real, Spain. Felix Solis-Ramos, director of export and marketing, declares: “the success of a fair depends on the previous work and preparations in order to maximize our presence in the fair”. For this reason, the company plans a wide calendar of activities, prepared in coordination with the fair organizers. On Tuesday 12th at 10:30 am in Room 5, the company will have a seminar about Pagos del Rey Wine Museum, opened a year ago and a project that shows the determination of the family company to promote wine tourism and extending wine culture. Rodrigo Burgos, director of Pagos del Rey Wine Museum, will explain about the activities of the museum and other possibilities of the space located in Morales de Toro, Zamora, attached to the winery Pagos del Rey. After this presentation, Antolin Gonzalez, Chief Wine- Maker in Felix Solis avantis and Felix Solis- Ramos, will present the new products that the company has created thinking of young consumers as the target group in the national and international marketing. Tuesday 12th at 1pm: wine cocktails workshop. Tuesday 12th at 4pm: tasting of Frisse, a refreshing sparkling sangria with fruit flavours. Wednesday 13th at 1pm: tasting of Pulpo (albariño) with seafood specialties. Wednesday 13th at 4pm: wine cocktails workshop with recipes to prepare and enjoy them at home. Thursday 14th at 12:30: tasting of Casa Albali (DO Valdepenas), a new brand by Felix Solis to be enjoyed with tapas typical from the local cuisine: ajoarriero, partridge paté with mushrooms, pisto with salmon; exquisite food made by the Cooking School Gregorio Prieto in Valdepenas. At the same time, Blume verdejo (DO Rueda) and Arnegui reserve (DOC Rioja) will be tasted in the Wine Gallery. Additionally, Arnegui Reserva has been chosen in Fenavin original to accompany iberico ham by Nico Jamones, a classical food pairing that is always a guaranteed success.